I knew lots of people who don’t believe in setting resolutions for themselves. In the past they may have once set for themselves a New Year resolution but failed to implement it (doubt their ability to stick to their resolutions) or they do not believe at all setting New Year resolution that can impact their own life. So why should I set one? I’m not in the position of telling whether you should set one for yourself or not but from my experienced setting resolutions for yourself does not harm anyone or yourself and it will give yourself a chance to fulfill your deepest desires, which often remain subdued in the rush of daily life. When a smoker thinks: “I should quit smoking”, it reflects the heart’s longing for a healthier life. If not for making the resolutions, many people would probably continue to smoke, drink, gain weight and avoid exercise as well as neglect other good habits that are meant to keep them happy, healthy and fit. Ask yourself, “How would I like to be different in the coming year?” Asking “why” is critical because when both heart and mind resonate for a change, that change is likely to happen. Last year at this time, I had set myself a goal (resolution) of building an electronic repair website to help repair technicians and engineers, and by 10th of February (after two months) this year I managed to launched the website and by now I’ve already gathered about 3500 plus members from all over the world. If at that time I did not set any resolutions, my time will have just pass like that and doing the same thing again and the electronicrepairguide.com website would not have existed! By setting the resolution I’m giving myself a chance to express my desire in electronic repair to electronic repairers and also to see how much determination one really has. Creating the two Ebooks http://www.TestingElectronicComponents.com and http://www.LCD-Monitor-Repair.com was not part of my resolution for this year. I created both books was because I’ve done and completed my job of setting up the website electronicrepairguide dot com. Your resolution doesn’t have to be related to electronic repair, as mentioned above it can be like quit smoking, keep fit, learn how to build website, write eBooks (any topics) and sell online and etc. If you choose the electronic repair then you can set, how to improve in electronic troubleshooting, what are the new range of equipment you would like to venture in (LCD TV, Plasma TV, LCD Monitor and etc) for your business, taking robotic course, taking electronic repair courses, learn PIC microcontroller programming, designing your own test equipment and sell (like the Bob parker ESR and flyback tester), want to setup your own electronic repairing centre, looking for opportunity to be an authorized service centre and etc. Whatever your resolution is, write it down. This seemingly unnecessary step has the power to give you clarity about the result you wish to see and to leave your resolution etched in your memory. Spending some time thinking about your resolution will help to prepare you better for the battle. One way to make sure that you walk the talk is to share the resolution with someone supportive (like your wife, friends and etc) of you. Not only will it bring much needed accountability, but also when you slip, this person will be there to encourage you to try again. I have set two resolutions for myself to fulfil next year and I know it is not going to be easy but I just have to try it out. Remember never give up! Despite the determination and efforts, if you fail, do not forget the ultimate key to success: Try until you succeed. Never give up! 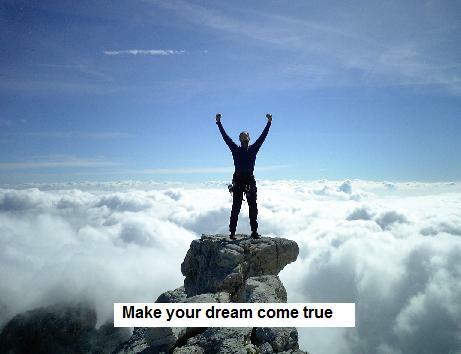 So are you ready to make at least one New Year resolution? 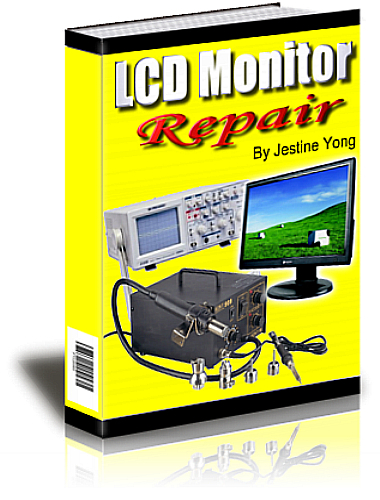 Discover The Secrets How You Can Become A Professional In LCD Monitor Repair!